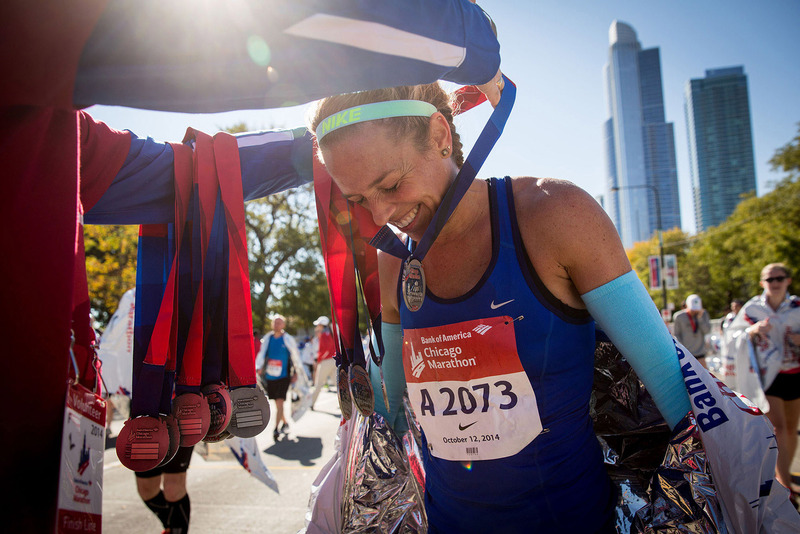 Angie Lamance-Soccorso, of Wauconda, Ill., receives her medal after finishing the Chicago Marathon on Sunday, Oct. 12, 2014, in Chicago. Chicago's 37th annual race included a field of 108 elite men, women and wheelchair athletes. There were also 45,000 amateur runners registered and more than 1 million people were expected to watch along the way.